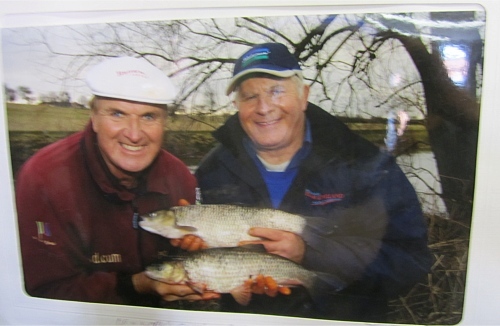 Here at Alcester Sports & Tackle you will find friendly advice, help and tickets for local angling clubs. Whilst the information on this page is provided in good faith, it might not be 100% accurate, so why not come down and we will try and help you enjoy your fishing even more. Within an hours drive of Alcester is a wealth of fishing please find a selection of venues and information. If there are any of your favourites not listed please email us with your suggestions. The Studley Angling Club have two lengths of the river Arrow where you can fish for chub and barbel, any time you like. Stick float or waggler with casters and hemp. Description This stretch of the river Avon has a total of 124 swims on both banks. Tickets £3 incl car park. Enthusiastic local angling club a wealth of Warwickshire angling information. Secretary Alcester Trades AC Mr T. Terry Tel: 0121 475 8782. Wixford AC has water on the River Arrow at Wixford. Arrow Valley Lake Redditch is an excellent coarse fishery with carp to 30lb and lots of bream to 5lb plus roach and perch to 3lb. In 2011 the top match weight was 90lb. 70 match pegs. For advice on the best bait ask Alan here at Alcester Sports and Tackle. We have 3/4 mile of the River Stour that offers quite challenging fishing: Pike, Carp, Chubb etc. As Astwood Bank Angling club are no longer renting this site from us we are offering day tickets for £7.00 to other angling clubs in the area. For more information phone 07831 834112 or leave money in the honesty box. The address is River Meadow, Clifford Chambers, Warks CV37 8HR. £8 permit valid for any venue.